The Heated Pant Liner is an excellent defense against the cold. 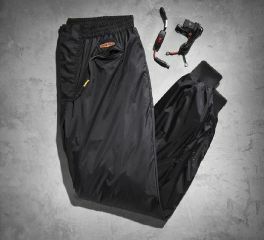 Designed to be worn as a mid-layer, the pant liner fits comfortably over a base layer and under an outer-pant layer. Connecting harness is included to regulate heat while riding. For head-to-toe warmth purchase the Heated Jacket Liner as well. WARRANTY 1 year limited warranty on garment. Lifetime warranty on heating elements.